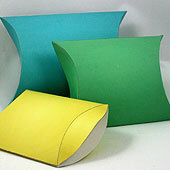 Print either the Dad's Shirt Pillow Box pattern or the Best Dad Pillow Box pattern on white cardstock. 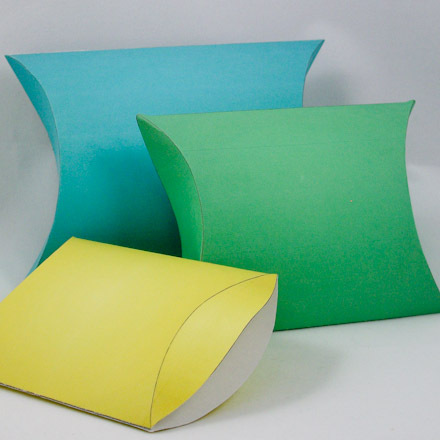 Make the boxes following the detailed instructions in the Pillow Boxes craft project. 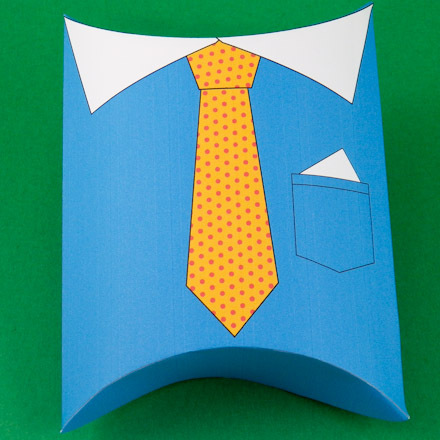 The Dad's Shirt Pillow Box pattern features a shirt and tie and is about 4.25" by 4.5" in size. 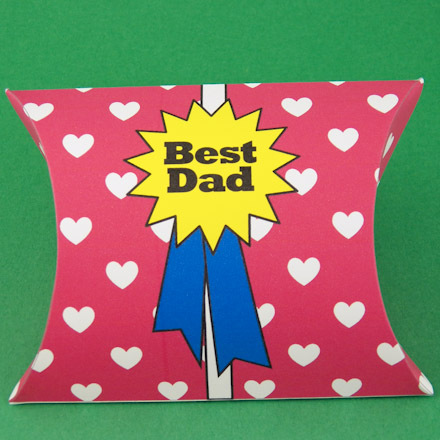 The Best Dad Pillow Box pattern features a Best Dad award ribbon and is about 3.5" by 3.75" in size. 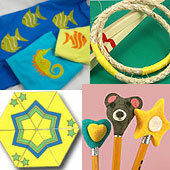 These patterns for Father's Day pillow boxes are from the Pillow Boxes craft project. 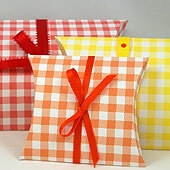 See this craft project for detailed instructions on how to make pillow boxes. 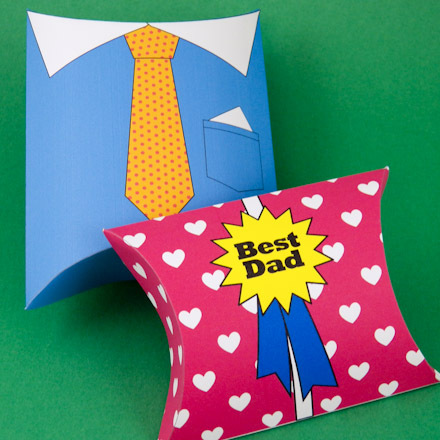 Which gift box for Dad do you choose? Tip: Are checked shirts your Dad's favorite? 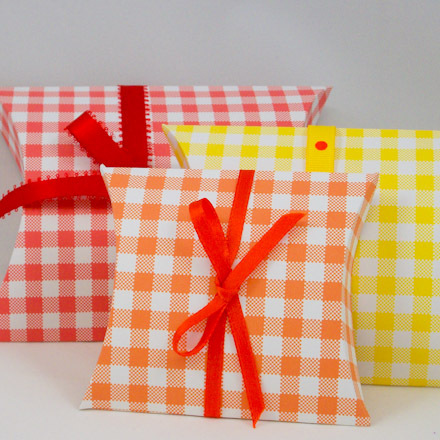 Make a box using Aunt Annie's Gingham Check ePaper printed on white cardstock with a plain black & white Pillow Box pattern printed on the cardstock's reverse side.